The Office of Minority Health works to eliminate health disparities and collaborates with state, local and private sectors to advance and implement health promotion and disease prevention strategies. 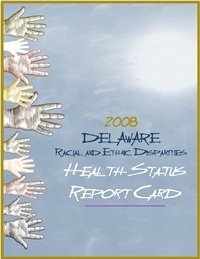 Working together to eliminate health disparities and achieve optimal health for all racial and ethnic minorities (groups) and other underserved populations in Delaware. To promote and advocate for the elimination of health disparities among all racial and ethnic minority groups and other underserved populations in Delaware. actively seeking opportunities to provide consultation in the areas of minority health and health disparities to individuals and organizations statewide to better inform minority groups of available treatment and preventive health services. To ensure that state, local and private policies, programs and implementation strategies are tailored to significantly reduce the mortality and morbidity rates of members of minority groups. All differences among populations in measures of health and health care. A higher burden of illness injury, disability or mortality experienced by one population group in relation to a reference group. A health care disparity can be described as differences in coverage, access or quality of care. Differences in the incidence, mortality and burden of diseases and other adverse health conditions of minority groups.